Over the weekend, Tom Brady lent a hand in introducing his father, Tom Sr. during a keynote speech at Junipero Sierra High School’s Annual Fund a Dream Scholarship Benefit. Brady Jr. attended the high school in San Mateo CA from 1992-1995, becoming the starting quarterback for varsity during his junior and senior years. 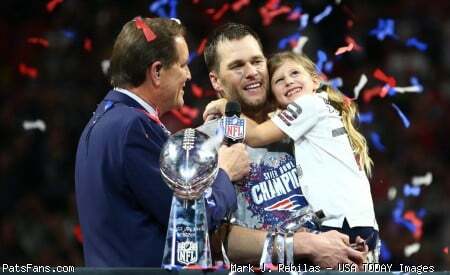 The Brady family maintains a close relationship with the school. Tom Brady donated his Super Bowl XXXVIII MVP Cadillac to the school in 2003, helping raise nearly $340,000 at the time. Before Super Bowl LII, students assembled in the football field spelling out “GO PATS” in a good luck message. Check out some photos and videos from the event below, including Tom’s introductory video. Click HERE for more information on the Fund a Dream program. 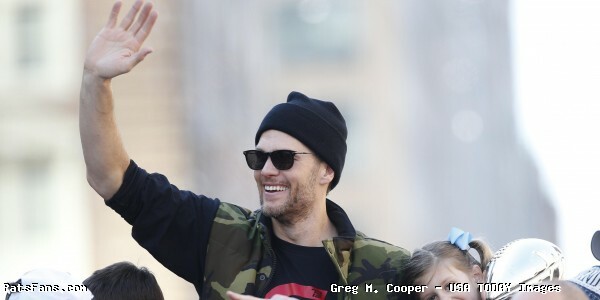 This entry was posted in Patriots Twitter, Patriots Video and tagged Tom Brady on March 18, 2019 by Robert Alvarez.